The Wizards underwent a franchise-altering roster overhaul to take aim at a wide open Eastern Conference. WTOP's Rob Woodfork says the team better hit its mark, or it's the beginning of the end of an era. WASHINGTON — It’s a good thing the Washington Wizards play a short, 10-mile drive away from MGM National Harbor because they’ve spent the summer gambling. 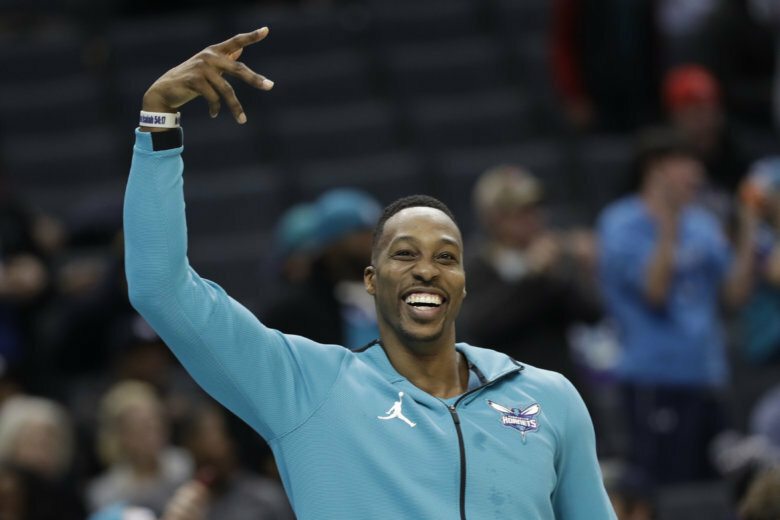 Just look at the Wizards’ offseason acquisitions: Dwight Howard, the talented head case who has quickly morphed from franchise centerpiece to journeyman karma-killer. Austin Rivers, the overpaid, trash-talking coach’s kid with questionable defensive prowess. Soon-to-be 32-year-old Jeff Green, a step down from last year’s stretch four revelation, Mike Scott. However, this roll of the dice is very necessary. Yes, the Wizards have made the playoffs in four of the last five seasons. But LeBron James has finally taken his talents to the Western Conference, leaving room for a King-less team to represent the East in the NBA Finals for the first time in a decade. Last year’s 43-win campaign made it clear that any Wizard not named John Wall or Bradley Beal should be deemed expendable. Marcin Gortat had to go, for a number of reasons. The bench has been in dire need of a consistent scoring punch for years. The Wizards haven’t had a truly athletic big since Chris Webber left. Each of the three principal moves — along with drafting swingman Troy Brown Jr. in the first round — addressed those needs. The question lies in whether all this change is enough to get the Wizards back toward the top of the conference. Wiz fans probably won’t like the answer. Boston, Philadelphia and Toronto are all still a notch or two better than the Wizards. The Celtics have spent years building toward this moment, getting so good and so deep that they nearly eliminated the Cavs without two of their top players last season. The 76ers trusted the process all the way to the conference semifinals last season, and now have enough experience to plausibly give Boston a push in the playoffs. And of course, the Raptors — who were the top seed in the East last year — just won the Kawhi Leonard sweepstakes. Assuming the two-time Defensive Player of the Year and former Finals MVP returns to form after an injury- and drama-filled 2017-18 season, Toronto can be every bit as good — if not better — than the team that won a franchise-record 59 games last season. So while the Wizards undoubtedly had to break up the Gortat-Morris-Porter-Beal-Wall core that couldn’t get out of the second round of the playoffs, this current iteration could either be dramatically better or just dramatic and worse. Howard is far and away the biggest riddle of the equation. Any city should be stoked to get an eight-time All-Star with three Defensive Player of the Year titles to his name for the low, low price of $5.5 million. But when that name is synonymous with technical fouls (he led the league with 17 last season, two more than the mercurial Draymond Green) and off-court drama in every one of his first five NBA cities — with the last, Charlotte, reportedly giddy about getting rid of him — it’s a tough sell for a town like Washington, where the era of knuckleheads like Nick Young, JaVale McGee and Andray Blatche is still very fresh in our memories. Green doesn’t have the character concerns, but the Cheverly, Maryland, native and Georgetown alum is two years older than Scott, whose lone season in Washington produced his best year shooting-wise (40.5 percent from 3-point range and 52.7 percent overall) and offset the inconsistent play of starter Markieff Morris. Green has some big shoes to fill, especially if he’s pressed into a starting role because Morris finally implodes. While Rivers is coming off career-highs in points per game (15.1), assists (4.0) and steals (1.2), he’s almost certain to see those numbers drop as Wall’s backup. Plus, his presence basically ensures the 18-year-old Brown will spend his rookie season as a third-string project player. Which brings me to my next point: The Wizards are trapped in draft purgatory because they’re too good to pick in the lottery, and Ernie Grunfeld can’t be trusted to do the right thing when selecting outside of the top three. Which means in order to compete with Boston, Philly or Toronto, the Wiz would have to land a top free agent or two. Washington isn’t a free agent/trade destination, and probably won’t be unless and until the Wizards get a generational superstar on their roster. Wall is great and Beal is a nice complement, but so far, their biggest name free agent recruit is Howard. A team has to have a lot of money or a lot of cachet to land a top free agent, and thanks to dud contracts for Ian Mahinmi, and to a lesser extent, Otto Porter, the Wizards have neither. Thus, the Wizards’ game plan for taking the East by storm is crossing their fingers and hoping that Beal and Wall stay healthy, Howard both continues to be a double-double machine and accept he’s a role player at this point in his career, and that Green and Rivers are vastly better than their predecessors. Oh, and that the rest of the Eastern Conference spontaneously combusts around them. Considering good fortune has rarely graced this franchise in the last 40 years, I’d put my money on the Wizards being the team to blow up and have to start from scratch in the near future.